Diamond rip stop fabric ensures durability, while three layers of water-repellent coating and seam taping provide water-repellency that lasts from season to season. 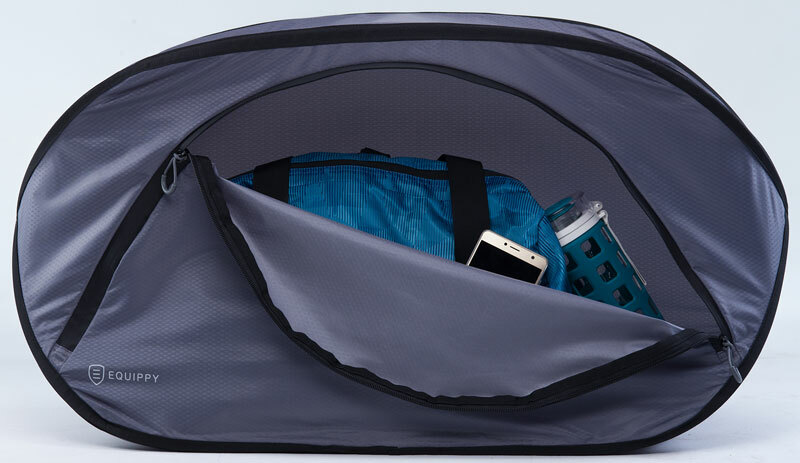 A large side zipper provides quick access to your gear and personal items. Quickly collapses for easy storage so it's always there when you need it! Equip Shield was born out of the simple need to keep your equipment protected in any weather. I'm Alison, the Founder of Equippy. I've played soccer for over 30 years and have had many personal items ruined from bad weather. I decided to invent Equip Shield as a compact and instant solution to this problem. 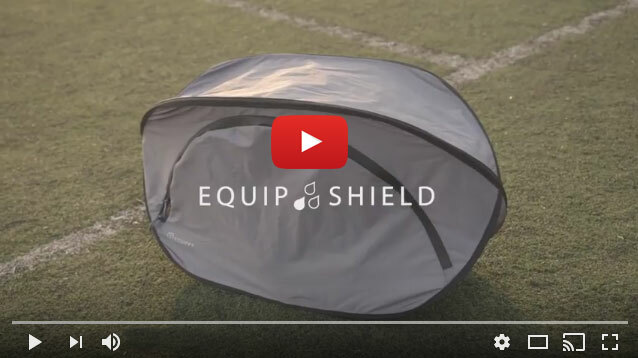 Whether you're a parent spending countless hours outdoors cheering on your kids, or someone who loves to play outdoor sports, Equip Shield is the perfect solution for keeping your gear and valuable items clean and dry. Best of all, it easily collapses and fits inside your sports bag so you'll always have it when you need it! As a mother with two young girls, I hope to be standing on the sidelines cheering on my kids knowing that their equipment (and my things) will all stay dry. Although Equip Shield is envisioned for use with outdoor sports, it can be used for whatever works for you. Coaches can use Equip Shield to protect player equipment and referees can use it to keep their gear dry while officiating. It can even be used as a quick shelter for things while camping or hiking. However you use Equip Shield, I hope you love it as much as I do! Looking to place a team order? We offer discounts for team and large-volume orders. Contact us at sales@equippygear.com for details. Want to add your logo or player number to your Equip Shield? Contact us at sales@equippygear.com and we will work with our local partners to make it happen! Interested in Selling Equip Shield?